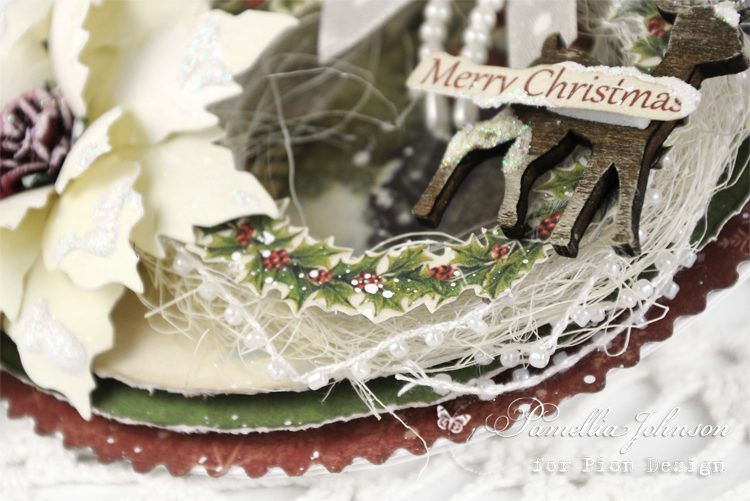 I’m so excited to share another Christmas card with you today. I am in love with the new Pion Design Christmas collection ‘The Night Before Christmas! 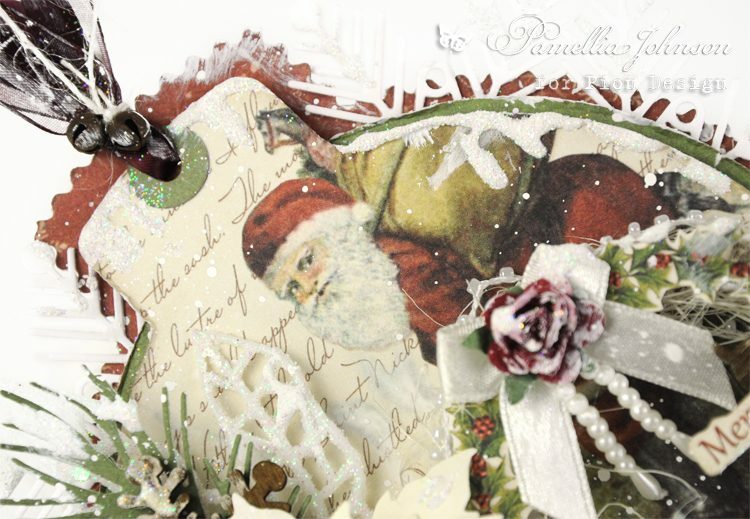 Such a wonderful combination of traditional and vintage, you won’t want to miss out on these festive papers! I have also put together this video tutorial with an easy technique on how to create an ornament shaped card, plus hand made poinsettias! I hope you enjoy!